I lived in Ireland for a couple of years back in the ’90s and although it’s a country I have an abiding fondness for, it’s a long time since I’ve been back for a visit. 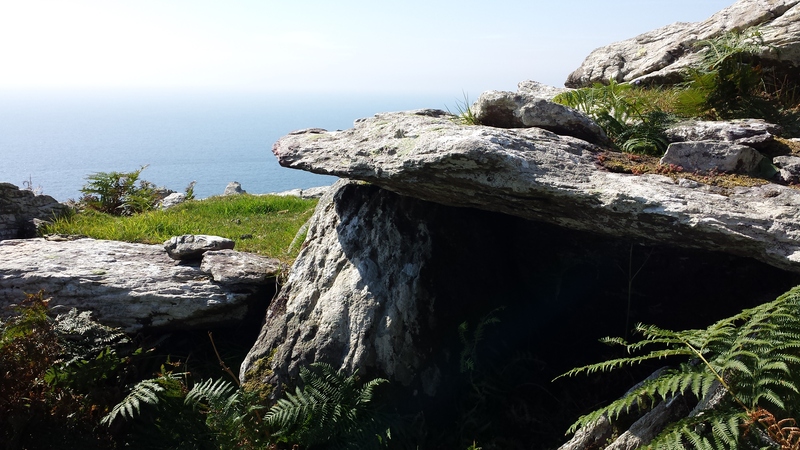 Then our friends Anna and Brian invited us to their house in Kerry for a few days and the memories came flooding back – the sights, yes, because Kerry is one of the most beautiful counties in the whole island of Ireland – but also the tastes. 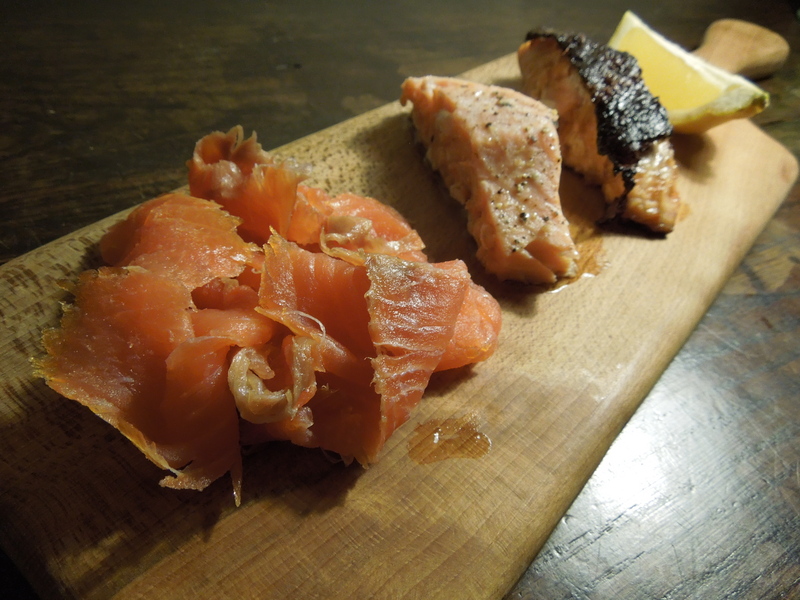 Smoked salmon, wheaten bread, fresh seafood – I had almost forgotten just how good Irish food can be. Coincidentally, top Irish food blogger, Conor Bofin of One Man’s Meat had just been talking to me about the Kerry fish company he’s been doing business with, enthusing about the quality of their produce. I mentioned it to Anna and Brian. “Oh,” said Anna, “that’d be Quinlans. That’s the smoked salmon we ate last night that you liked so much. 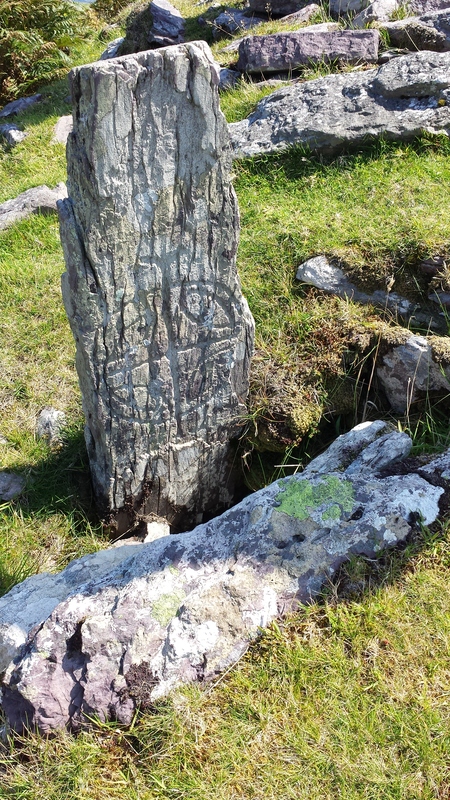 We’ll call into the shop in Caherciveen.” And so we did. The seafood was spanking fresh but it was the smoked salmon that proved to be irresistible. I ended up buying a side almost too big to put into my carry-on bag. First, though, we had lunch at O’Neill’s The Point, a seafood bar overlooking the Atlantic at nearby Renard Point, where we enjoyed a perfect lunch of – in my case – salmon smoked, poached and barbecued. This is my version: salmon three ways, smoked (Quinlans of course), baked and teriyaki-style. I made a big loaf of wheaten bread (brown soda bread) to go with it – recipe coming soon. Stir together the teriyaki marinade ingredients until the sugar has dissolved. Put two of the salmon fillets flesh-side down in a small bowl and pour the marinade over. Cover and leave in the fridge to marinate for up to two hours. Preheat the oven to 400F/200C/Gas Mark 6. 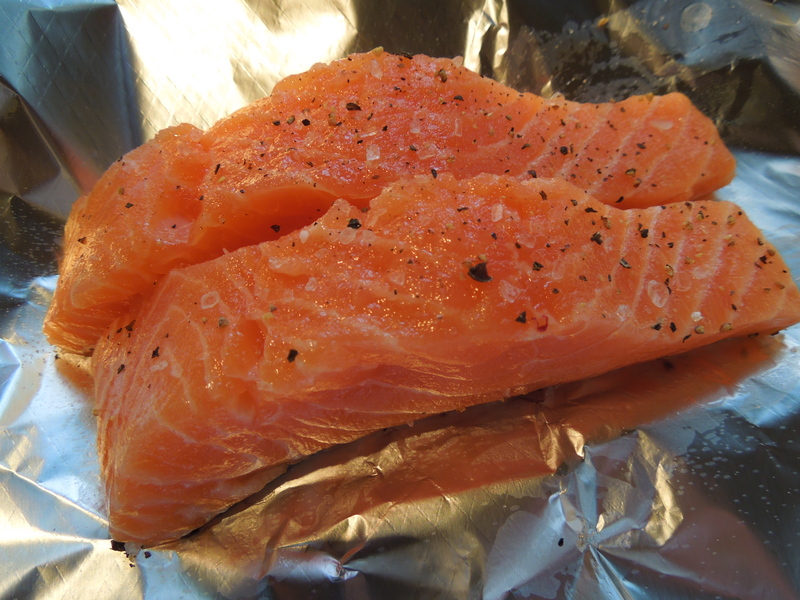 Take a large rectangle of kitchen foil, put the two remaining salmon fillets in the middle, season with salt and pepper and wrap to seal the parcel. Place in a small baking tin and bake in the oven for about 10-15 minutes, depending on size. Meanwhile drain the teriyaki marinade into a small saucepan, bring to the boil and continue to cook for a couple of minutes until it has thickened slightly. 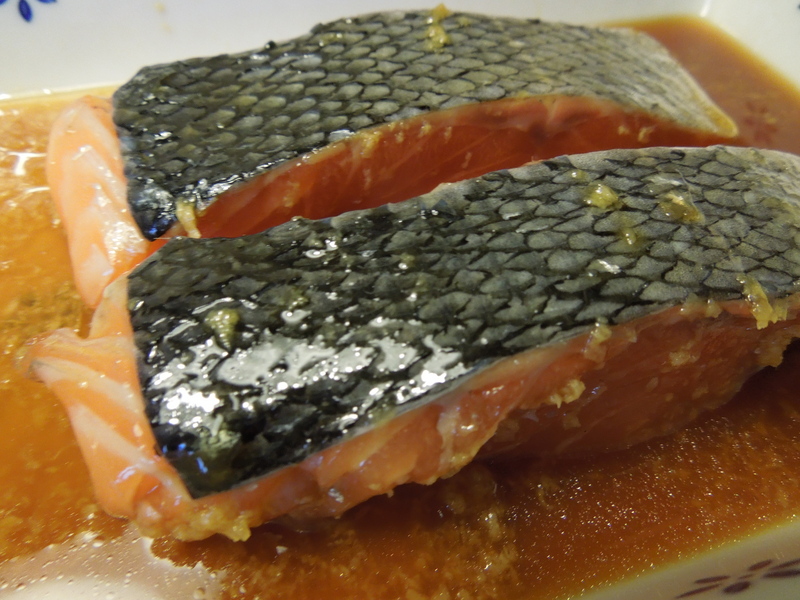 Pat the teriyaki salmon dry with kitchen paper, heat a heavy frying pan over a medium-high heat and when it’s very hot, put in the salmon skin-side down and baste with the reduced marinade. Cook for four or five minutes until the skin is crispy but not burnt. Turn it over and baste it again, then cook it for another three or four minutes until the flesh is opaque in the middle. 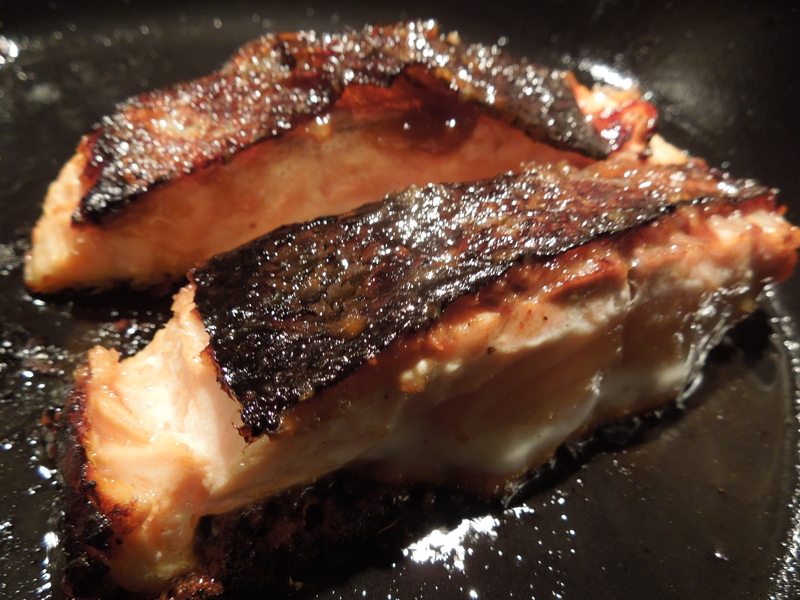 Remove the baked salmon from the oven and using a spatula, carefully lift the fish from the skin. Give each person a portion of baked salmon, a piece of teriyaki salmon and a quantity of smoked salmon. We ate ours with a lemony mayonnaise, a mixed salad dressed with a lime and honey vinaigrette and thinly-sliced wheaten bread and butter. Delicious. 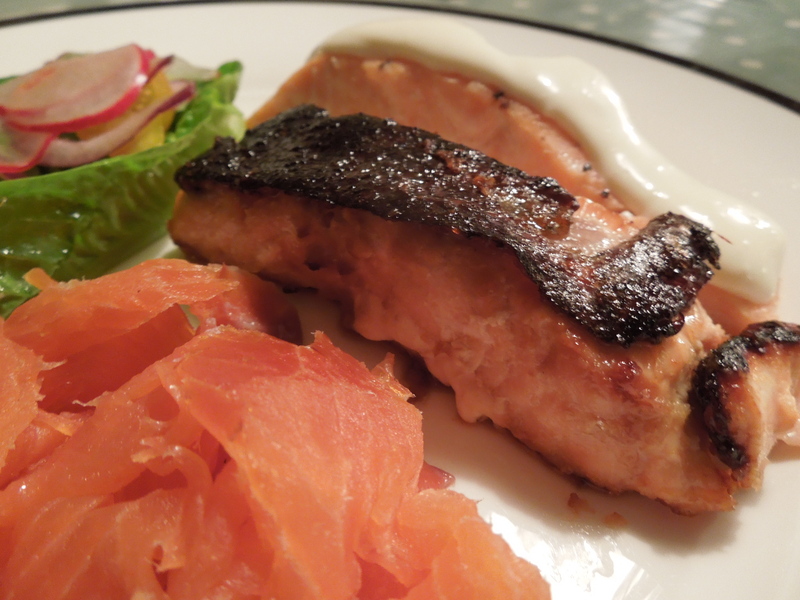 This entry was posted in Fish and shellfish, Producers and tagged baked salmon fillets, salmon three ways, smoked salmon, teriyaki salmon by Linda Duffin. Bookmark the permalink. Delightful presentation Linda. If I had to choose, it would be…… Darnation, it’s too difficult. Just give me all three. Gosh, that all looks mouth-wateringly fresh. 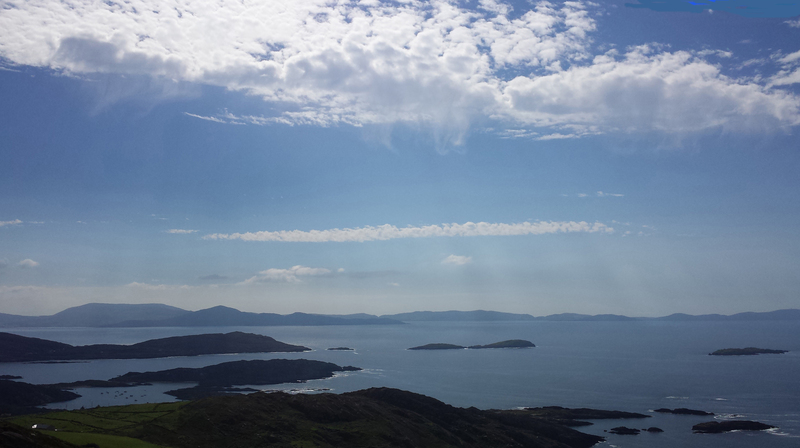 Stunning pics too. It’s obviously worth taking you out if you come home and do this!! We’ll be up soon for a tasting.